Awesome Justin Bieber Themed Party Inside Our Limo Bus! Beliebers know who we're talking about... And we know how to make them welcome! Because, seriously, when you're young and crazy and in love with life, what's more fun than a Bieber fest? Nothing, except possibly a Bieber concert. Well, with us, you've hit the jackpot. We've got you covered party-wise, and we take the party on the road to the concert of your dreams. Imagine this: you and your friends, together in our party limo, on your way to a Justin Bieber concert. Not to make a big deal out of it, but we know our Bieber Bible. Possibly even better than you. For instance, did you know he is a fan of the show Friends? So are we. He's a Rubik cube wizard (we can handle a Rubik cube, but not like him), and he learned to play drums, guitar, and piano when he was very, very young. And, like many Canadians, he's fluent in French. As for those abs, they get their own workout bus when Justin is on tour. That way, Justin never gets an inch of fat from the, let's face it, junk food he sometimes eats. Also, did you know the Beeb himself would rather be in a limo or on a bus than on a plane? Fact. There you go. 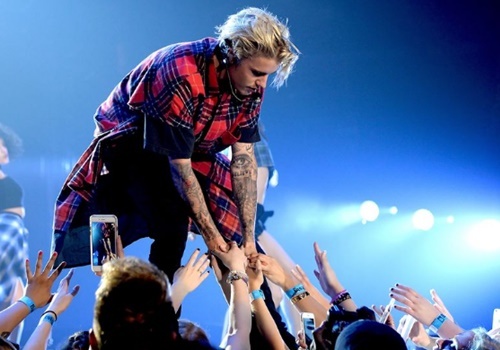 We bet we'd do OK on a Bieber quiz with the die-hardiest of fans. And we'd definitely know how to make you feel like a Bieber royalty in a realm where Bieber is king. Take Your Party... To The Party! Now that you've got your own party under way, take it on the way... to the bigger party! The concert. We'll set you up for the time of your life! Balloons? Check. Age-appropriate drinks? Check. Photos of the coolest abs this side of the Milky Way? Yup. Your favorite music? D'oh! So, what's holding you back? Check the dates and make sure you've booked the Bieber Fest Limo! Take your Justin Bieber-themed party to the concert of your dreams and give yourself and your friends a night to remember. We at Aall In Limo & Party Bus are, "aall in" when it comes to fun. We know how to throw a party - and drive it around! Book A Limo From Aall In Limo & Party Bus For The Next Justin Bieber Concert in the San Diego Area! Now that you know how you can have the best time out there, there's nothing more to do than just drop us a line. Aall in Limo provides a vast selection of affordable rentals for your party. We can offer top rental vehicles in San Diego at the best rates.